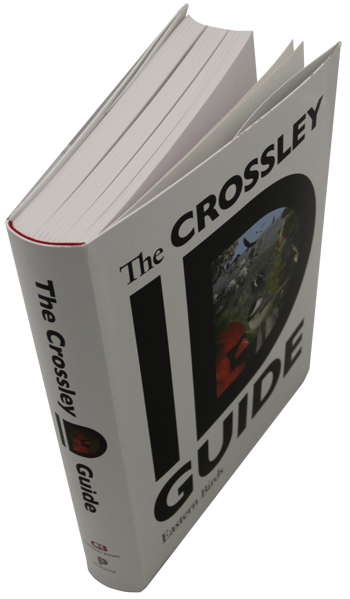 This book changes field guide design to make you a better birder A picture says a thousand words. It contains not single images but, for each species, large life-like scenes containing multiple images, some close but many distant, from a variety of angles, in flight and showing typical habitat and behaviour. 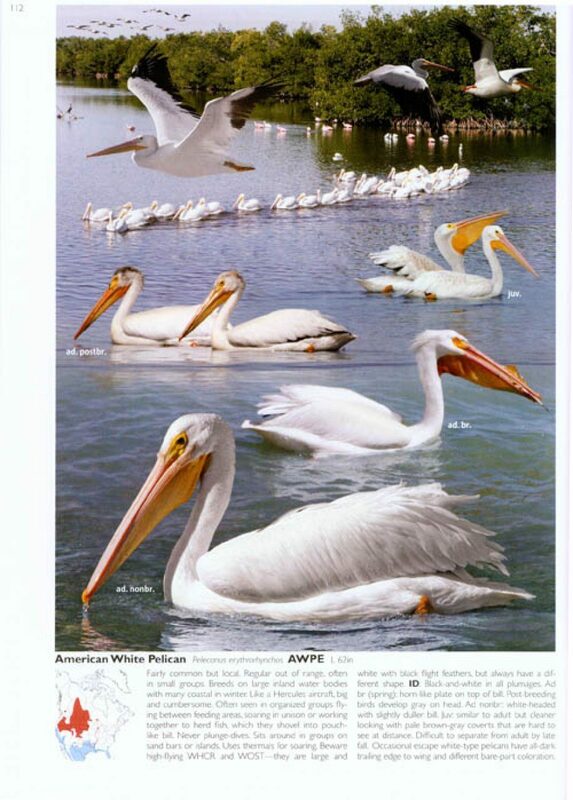 Unlike other guides, which provide isolated individual photographs or illustrations, this is the first book to feature large, lifelike scenes for each species. Crossley also adds a delightful British birder's touch, emphasizing a return to the pencil-and-notepad method. The last is perhaps the most striking feature of the Guide. Learning to look at the size and shape, behavior, probability and color of these stationary birds develops in the reader, a skill in seeing which later can be transferred to experiences in the field. The books are good, but rarely live up to the hype. I got this book for my eight year old grandson who has for some reason developed an interest in birds. The most complete guide to North American raptors, written by some of the foremost experts The first raptor guide using Richard Crossley's acclaimed, innovative composite images that show birds as they actually appear in the field 101 stunning color plates--including thirty-five double-page layouts--composed from thousands of photographs Comparative, multispecies plates and photos of mystery species that allow readers to test their growing identification skills Complete with introduction, 34 color maps, and detailed species accounts Roger Tory Peterson revolutionized birding in the 1930s with his innovative way of presenting images of birds in field guides. So I have come to appreciate the logic of standardizing nomenclature. When Richard first showed me the plates over lunch a few months before publication it felt, frankly, like someone had thrown a glass of cold water in my face. You might find it is just what you've been looking for. I bought this and a few field guides. Anyone who reads the text and looks at the composite pictures will gain something and most will get a great deal from this book. Its large and detailed plates come closer than those of any bird guide to replicating the experience of seeing birds in the field. With all of these groups you will receive various publications and exclusive member info, and you know that you are supporting a good cause. So, in this case the last letter of the color modifier became part of the abbreviation. The learning is how to see what you are looking at. And for that, this book is perfect. 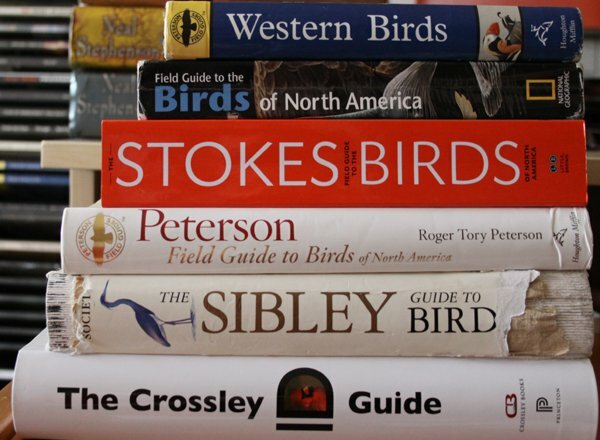 It is not a guide to carry into the field, but when someone asks me about a bird, which happens quite a bit I have found that I can open this guide to the birds I think they are talking about, and the person will almost always see a picture of the bird they saw. Lifelike in-focus scenes show birds in their habitats, from near and far, and in all plumages and behaviors Teaching and reference. Too big to carry around for some people, but a two-fisted lug can manage it. The in-your-face assortment of poses and sizes. The book's 101 scenes--including thirty-five double-page layouts--provide a complete picture of how these features are all related. It avoids the stiff, style-bereft prose almost all other field guides contain. We've been inundated with 'new' birding field guide books in recent years, no single one of them offering a compelling reason for purchase. Answers to the tests are presented in the back of the book Though the emphasis is on the visual effect of the beautiful photographs in the book, the text is also comprehensive and extremely helpful, containing a wealth of information about each individual species, much more than one would find in a typical field guide. They are hopping around and flying away at many different angles. 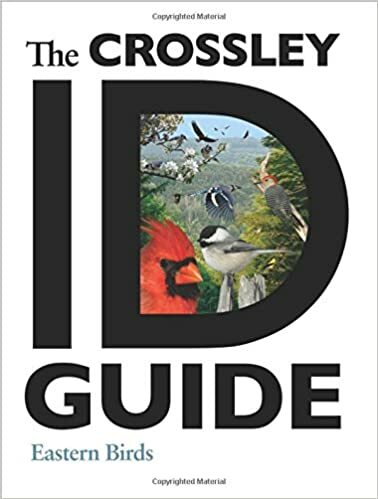 It isn't the most useful guide for all birders, I don't know if a beginning birder would know where to start. Looking at them from the ground as they fly overhead, they can all appear to be big brown birds, or, sometimes, big brown blurs. All in all, this is not a field guide way too heavy , but maybe a good reference for sorting out bird pics taken on a birdwatching trip. Real life for a hawk watcher is standing on the hawk watch platform at Cape May, or on top of Hawk Mountain on a crisp autumn day when many of the birds appear to be the size of the period at the end of this sentence, or when they are heavily backlit, or when you are looking at a mixed flock of accipiters and buteos with the odd falcon thrown in. There is also a photo of a Junco in flight showing its white underparts; when a Junco takes flight you almost always see a white flash. It has certainly earned a place on my desk. Here, we really do have an innovative, almost startlingly different approach. A hawk watch is the place to have your binoculars up and scanning the skies. David Sibley also has posters of , , , which are very nice too! Look at the sample plate below: It's a lot to process, but after pouring over these plates for the past several months I can tell you that they are extremely valuable teaching tools. You can read it like a novel. Hurrah for him, and hurrah for us! The rationale is compelling, and I think Crossley's approach might actually work. This new guide helps us get to know the birds. The birds are seen at various stages of life, in various states of molting, in close-up and at a distance which is how most of us see birds most of the time , and displaying characteristic behavior. This guide teaches you how to see birds while it identifies them for you. This montage approach enables all aspects of a bird's size, shape and structure, plumage and behaviour to be displayed to best effect. Of course, most field guides will show a nuthatch walking head first down a tree trunk. Every few pages there is a full spread picture of various raptors in that all have numbers. The effect is amazing, especially for a novice birder such as yours truly, since I often have a hard time imagining where a particular bird might hang out or what it would actually look like in flight rather than in the form of a hand drawing. This one is for birds in the eastern U. The most common species get a full page. The effect is amazing, especially for a novice birder such as yours truly, since I often have a hard time imagining where a particular bird might hang out or what it would actually look like in flight rather than in the form of a hand drawing.